This little beauty goes to the highest bidder. For I will no longer be requiring its services. 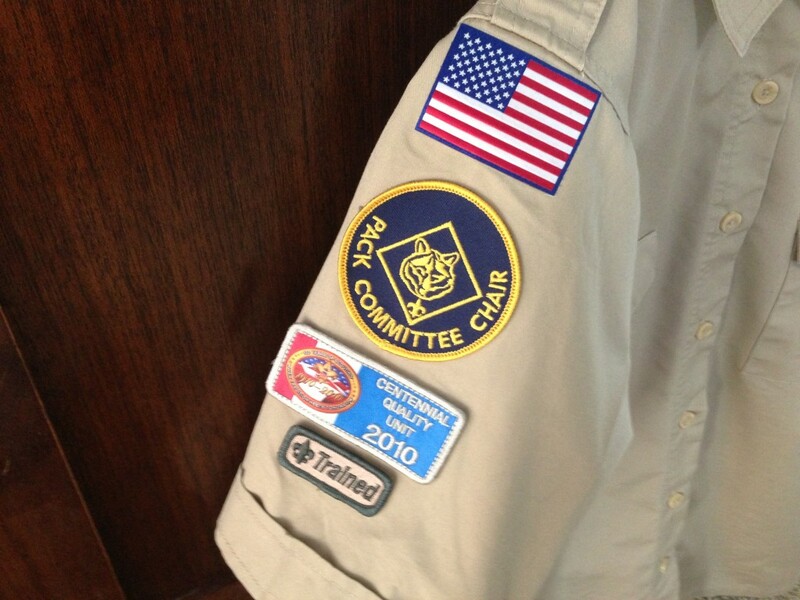 Like sands through the hourglass, so are the Days of My Scouting Career. But in the meantime, I need to sell this shirt. I don’t mean to brag, but do you see what that circular patch says? Pack Committee Chair. As in, Chairwoman. As in, The Boss. Yeah baby. 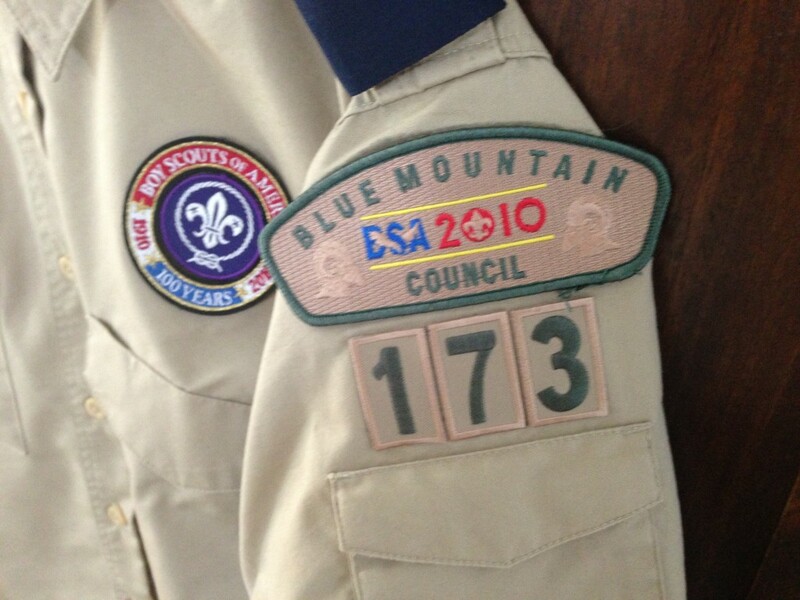 And if 173 isn’t exactly your troop number, don’t worry; a fat green sharpie will work miracles. As will squirt guns and ho-hos anytime you haven’t planned an activity. Not that I would know. 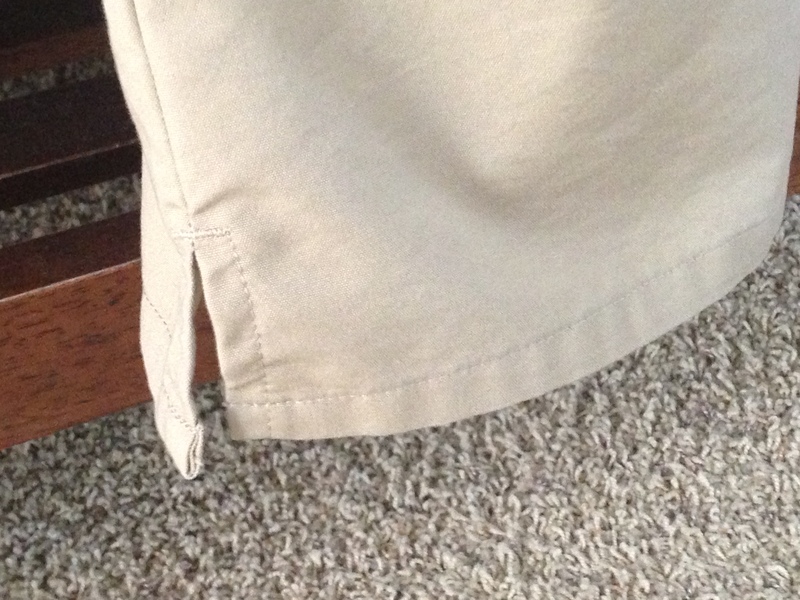 Consider one final feature before you make your decision: the vented tails. Do you know what these little vents are for? To wear the shirt untucked. I am not kidding. 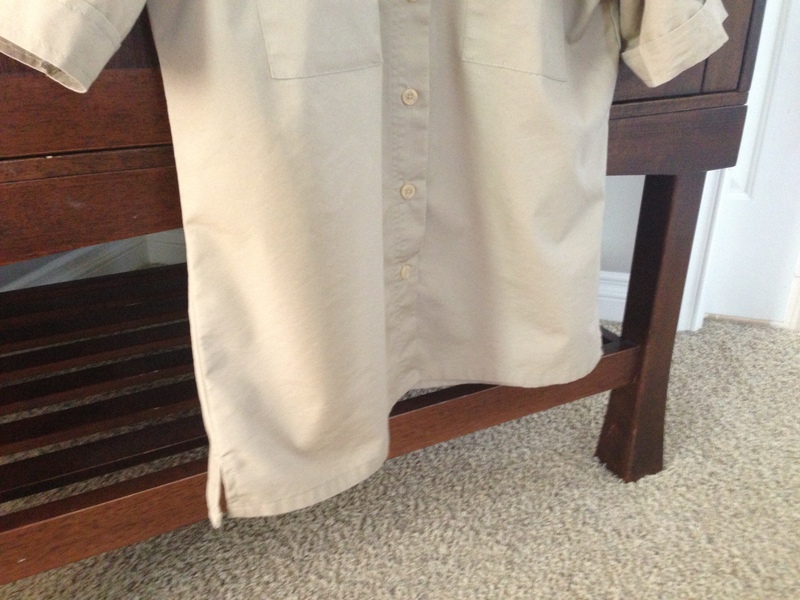 I thought I was gloriously rebelling against tucking in the shirt until another leader mentioned that the shirt was designed with the vents to provide more comfort when moving around, since a woman’s scout shirt isn’t meant to be tucked in. Are you listening, husband? The shirt isn’t meant to be tucked in! That little slice of info has rocked our marriage, but Derrick stands firm in his dogmatic Tuck-In Policy. As with all matters of import in our marriage, I have flatly ignored him. But now that I have the BSA’s tailors on my side, I’d say that untucking the shirt is practically written in the law of the pack. 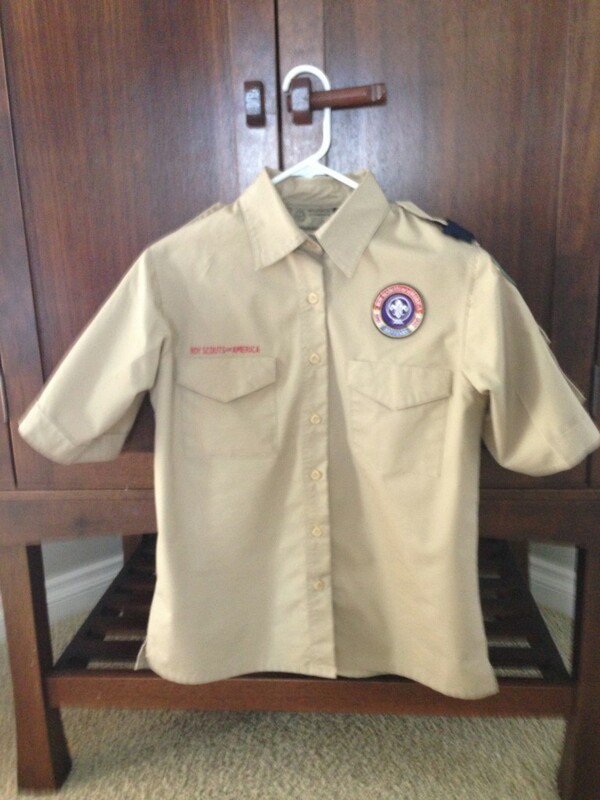 And as such, I solemnly relinquish this shirt, with all its accompanying responsibilities and privileges, to the next Cub Scout Committee Chairperson of Blue Mountain Council Troop 173. May you wear it wisely; may you wear it well. And, oh yeah, I’m charging forty bucks for it. (I got it for thirty, but need to adjust for the cost of patches and labor. Not to mention the character that was built while wearing it.) Enjoy the status, enjoy the vents. Cash only, please. But I won’t tuck in the shirt. Do you hear me? I refuse to tuck in the shirt. Previous Article 13 laughs for Friday.